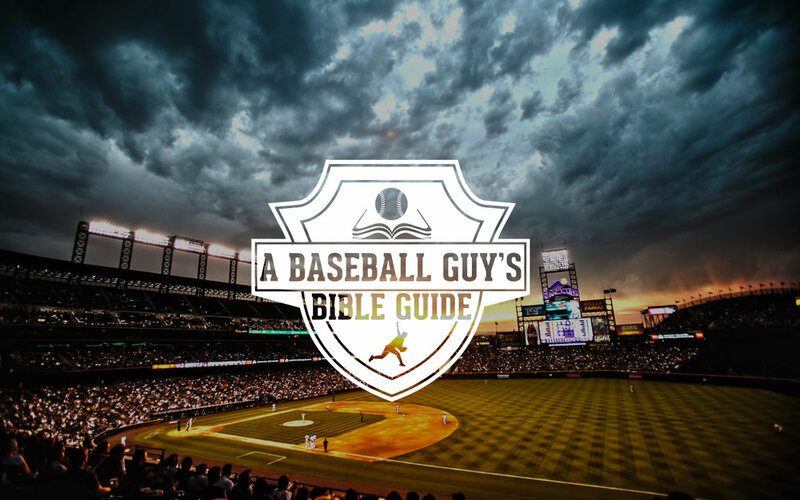 This week we’ll explore three key ideas from Genesis 12-50 and bring them into the context of baseball. Again, I am sure you know the stories, but take some time to read Genesis 12-50 and watch the Bible Project’s video outlining the framework of Genesis 12-50 as well (https://thebibleproject.com/explore/genesis-12-50/). As we move out of the early stories and into the Call of Abram (later to be known as Abraham), we get a taste of the power of God’s prophecy over a person. Prophecy is what makes the Word the Word. God speaks something over someone and it comes true. It is how we can test and know that this living, loving God is trustworthy. Prophecy is what makes Jesus so amazing. More on that throughout the year. The ESV version finishes the prophecy like this: “in you all the families of the earth shall be blessed.” What an amazing and overwhelming prophecy to be spoken over one man. I can’t imagine the amount of doubt Abram must have felt in the moment God spoke this over him. It’s a prophecy that only God could accomplish. This got me thinking about baseball’s version of Abraham. We don’t have a set of prophecies about the game, but there is one figure in the game that changed baseball in such a way that all of the baseball families who came after him were blessed. He changed the history of the New York Yankees and made that franchise a great nation. His name became great and home run hitters for the next century had him to thank. 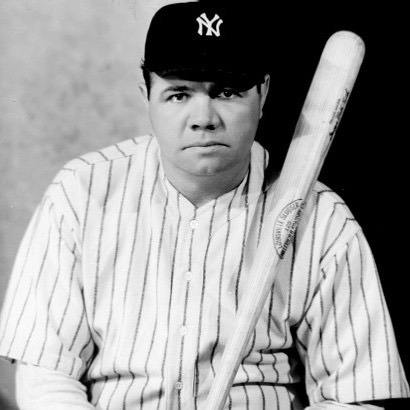 Oh, and the Boston Red Sox had to deal with the “Curse of the Bambino” after trading him (and watch out for some sort of curse on Adam Ottavino because of his recent Babe Ruth comments - insert a little “haha” here). Through Babe Ruth, the baseball nation has been blessed. But it’s such a small blessing compared to that of Abraham on all of humanity. God is going to rescue humanity through Abraham - his land, his nation. We are blessed because of the blessing of Abraham. But Abraham wasn’t the perfect Savior. He was just a man. Yes, a man God would use mightily, but still a man nonetheless. He would fail. And in spite of his failure, God would still use him and bless the nations. Walk in Abram’s shoes for a minute. God speaks this incredible prophecy over you. You want to believe Him. But you have no children. You’re walking with God and you’re seeing Him do amazing things. He even gives you a vision and says “your reward shall be very great” (Genesis 15:1). What’s your response? The same as Abraham’s. “O Lord God, what will you give me, for I continue childless” (Genesis 15:2) and “Behold, you have given me no offspring” (Genesis 15:3). In spite of the visions God gives you, you’re swayed by your wife to take matters into your own hands and you have a child with one of your servants. Does God react to this in anger and pull His prophecy from Abram? Nope. This is where we have to grab and hold on for life. In spite of our failures, God’s commitment to His Word will end in blessing. He is going to execute His plan no matter what we do. In fact, He may use our failures to make our human perception of His power even greater. How do we take this to the field? Baseball is a hard game. It’s brutal. I was speaking to one of my dear friends in the game this past week about how exposed we are on the field. He works with hitters and made a connection with developing a hitter to an artist showing a sculpture to the masses in the early phases. The crowd, the opposition, the player’s teammates all expect the work to be complete in that moment when he is to come through. But the sculptor isn’t finished yet. He still has a lot of marble to chisel. This is our lesson from Abraham. God has promises and prophecies over your life, too. He has a plan for you, and much of that plan is centered on making God known. It has way less to do with your success on the field. You’re going to fail on the field, but God is never going to fail in making Himself known through your shortcomings. Be blessed in those failures and make God known through your weaknesses. The number of Hall of Fame players who were traded from one team to another is staggering. The class of 2015 included three pitchers (Randy Johnson, John Smoltz, and Pedro Martinez) who had all been traded early in the careers. Babe Ruth, Nolan Ryan, Frank Robinson, and Lou Brock were given away for something their trading teams thought to be a better opportunity to win. I am certain that these trades provided a spark for those Hall of Famers to achieve new levels of success on the field. That verse comes from the story of Joseph and his perseverance through trial is extraordinary. I would encourage you to read through his life starting in Genesis 37. There are so many twists and turns in the life of Joseph that you’re left saying, “again?!? !” No matter what the circumstance, God proves that he can turn evil into good into Joseph’s life and that’s what we have to believe. Even though humans continue to prove themselves as evil, God will turn that evil into good. God’s plan is to rescue and bless His rebellious world. God’s faithfulness in the long term is to deliver a king that will restore the Garden. His promises are true and will continue to be proven true no matter the short-term circumstance.